LÀO CAI — Lào Cai’s People’s Committee has sent a proposal to Prime Minister Nguyễn Xuân Phúc asking for an airport to be built to serve Sa Pa Town. 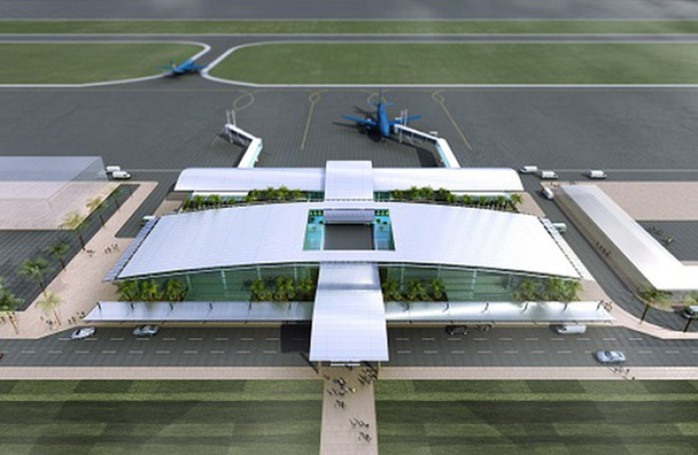 The proposal includes investment sourced from the State budget and public-private partnerships (PPP), at a total cost of VNĐ5.9 trillion (US$254.7 million), for the airport some 75km from the tourism hub. Đặng Xuân Phong, chairman of Lào Cai Province’s People’s Committee, hoped that the State budget would provide VNĐ3.088 billion ($132.3 million) to build an airfield and road to the airport, while the provincial budget would offer VNĐ910.6 billion ($39.3 million) for site clearance, resettlement and unexploded ordnance clearance. Per the proposal, Vietnam Air Traffic Management Corporation would invest VNĐ131 billion ($5.6 million) to build flight management works. The province will also seek private investors to invest about VNĐ1.8 trillion ($77.5 million) to construct a civil aviation area and fuel depots. In the proposal, the provincial People’s Committee said early investment in the airport was necessary and in accordance with local planning. According to the Lào Cai Province’s People’s Committee, Sa Pa airport will be built according to the International Civil Aviation Organisation (ICAO) standards with the designed capacity from 2.5 million to three million passengers per year. The airport will be constructed with nine aircraft parking positions, and built in Cam Cọn Commune, Bảo Yên District on an area of 371ha. Chairman Đặng Xuân Phong expected the PM would assign local authorities to decide on the investment. “After being approved by the Prime Minister, Lào Cai Province’s People’s Committee will implement the project according to current regulations,” Phong said.